Male gynecomastia is not an uncommon condition. It can be drug induced or be a clinical manifestation of some hormonal imbalance. Occasionally such a condition is due to gaining a significant amount of weight. It can be a cause for social embarrassment and may lead to withdrawal from participation in outdoor activities, especially in warm climates. 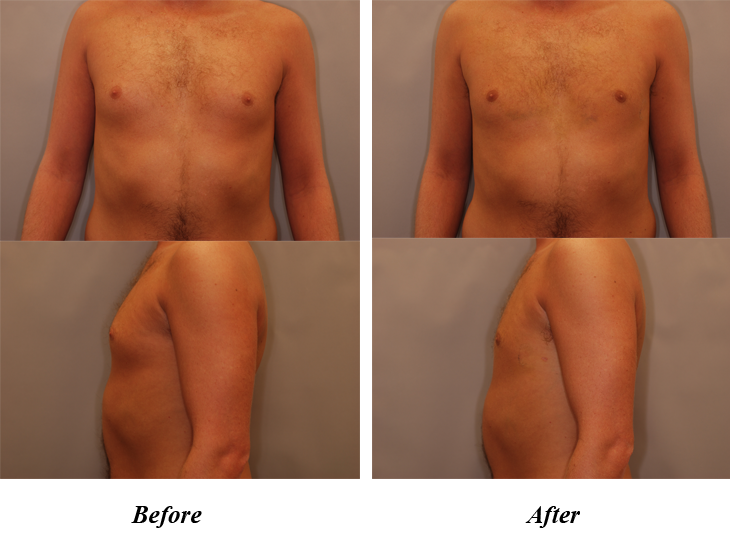 Liposuction or LipoSelection is used very effectively for gynecomastia reduction. Occasionally, a small incision made around the dark circle of the breast is made to remove the unwanted breast issue. The patient typically takes 1 to 3 days off work. The patient may resume regular activities in approximately 1 week. Gynecomastia is an outpatient procedure and is performed under general anesthesia at the West Health Surgery Center in Plymouth, MN. We offer complimentary consultations at our Fridley and Plymouth locations.